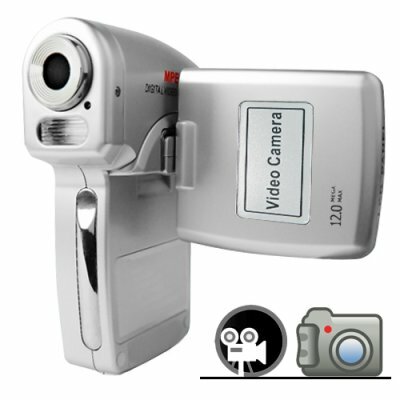 Successfully Added Wholesale Digital Camcorder with MIC (Entry-level Favorite) to your Shopping Cart. With easy access button controls and a smart interface allowing you to turn on and off the features you want (daystamp, flash, macro, audio, etc), you can shoot simple and quick pictures and videos with ease as well as shoot higher quality films and photos as the need arises. Going on a date with your girlfriend and want to preserve the memories forever? Then set the maximum resolution and exposure settings and make sure your vids turn out in high detail. And with the native 5.1 megapixel image sensor your girl will look her prettiest. Need to shoot something quick and easy to send to grandma? Then use the default setting for a smaller file with a lower frame rate. No matter your needs, for beginning videographer, this model is a great choice! Chinavasion's direct to you low wholesale price make this a standout item that is great for ordering one for own personal use then ordering more to resell at your online or offline store. In stock now for single piece sample or bulk orders. What makes this model DV camera better than others on the market today? Aside from the low wholesale price there are two primary reasons - (1) true hand held design allows quick and easy thumb control of the recording process for any sized hand (2) simple controls mean there is no learning curve, just turn it on and go! A favorite design for youtube enthusiasts and citizen journalists/bloggers. it is a special camera made by a special country,. I ordered two of these for the kids and I must say I was happy with the quick shipment and products came fully charged. Nice little camcorder for the price. Very happy and would recommned..Chinavsion is getting my future business. A+ Chinavision.